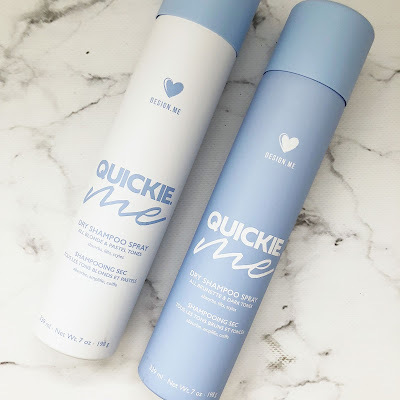 Design.Me Hair has developed some brand new products to add to their existing roster - introducing the brand new Dry Shampoo Sprays (for Blonde/Pastel Hair & Darker/Brunettes) as well as a Dry Shampoo Foam, retailing for approx $22 cad each - these are great to use a dry shampoo for combating that second day oily hair, or for me what I have been using the sprays for is actually as just a hair refresher. Nothing bothers me more than having washed my hair, styled it to go out for a meal or run errands and it ends up smelling less than fresh. I spray the brunette one in my hair when I get home, tousle it a bit and it helps deodorize and refresh! 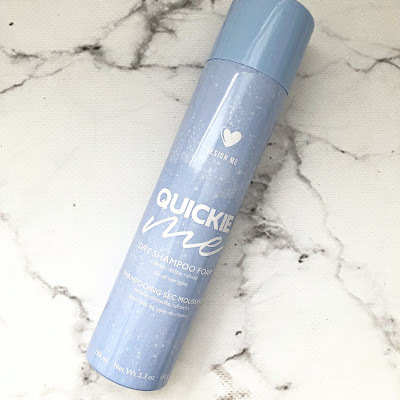 I have previously tried the Puff.Me spray from Design.Me before and I wrote about it in this post if you're interested, if you're looking for a great texturizing volume spray that isn't housed in an aerosol container than you may consider looking at that. Above we have the Quickie.ME Light & Dark Shampoo Sprays that help to absorb the oils in your hair while adding some volume to it. Rich Starch is a key ingredient to help do these things. Just hold it 6-8 inches from the hair and let it set for about 5-10 seconds and then massage into the scalp (which is where my oiliness is the biggest issue) and brush out. I did find the scent a bit strong, so remember to use it in a well ventilated area, it does not stay a long time, the scent so that is not a big issue for me. 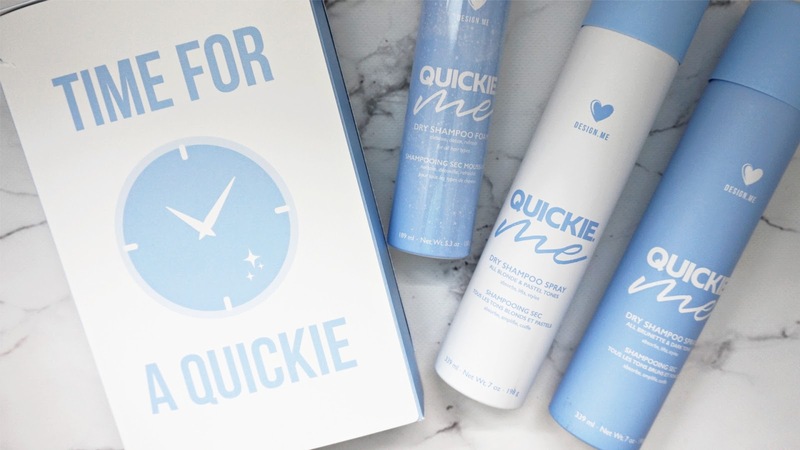 The pro's of this product outweight the con's for sure - I really appreciate the fact that this brand made the effort to create a product for brunette hair. Do make sure that you do not use this product on the clothes you are planning to go out in as it may stain a bit - put a towel over your shoulders to protect your clothing. After you spray it though, there are no further color transfer issues that I experienced. Next, we have Quickie.ME Foam - while a foam dry shampoo cleanser is not a new concept, this one actually works quite well for me. I enjoy how it almost feels hydrating on my hair shaft (since I had balayage-d it) and it dries almost instantly when I massage it into the scalp. Be careful not to use too much of the product at once. I take a ping-pong sized amount and work it through the palms of my hand first before applying it directly to the scalp/hair. These products are available for purchase at all Trade Secrets and Chatters locations nationwide as well as online on their website - link above.